The Cheltenham Festival’s RSA Chase found a new favourite over the weekend after Willie Mullins’ Ballycasey took the Grade 1 Moriarty Novice Chase at Leopardstown. With stable-mate Champagne Fever missing for the race, Ballycasey made all the running in his absence to claim the spoils at 2/1. The run, which saw him win by four lengths from 1/1 favourite Don Cossack, was good enough to move him to the head of the RSA betting at 5/1. With Ruby Walsh on board, Ballycasey came under pressure from Don Cossack when making a slight error two from home but he found enough to hold off that challenge before striding away, leaving Mullins understandably chuffed. Ballycasey backers will be buoyed by the performance, not least because of the recent history of Moriarty victors going on to claim the festival win. Cooldine in 2009, also a Mullins horse, and Boston Angel in 2011 both claimed the two prizes in the same season and the County Carlow handler will certainly hope Ballycasey can repeat the dose, to improve his no doubt unwanted record in the RSA to a second win in the last 10 years. 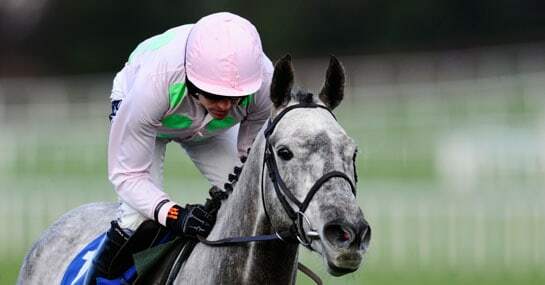 Despite the hard-fought run, defeat for Don Cossack left him at 12/1 for the RSA, while the Moriarty’s third runner, Carlingford Lough, is further back in the betting on Cheltenham Festival Wednesday at 14s having unseated rider Tony McCoy at the Leapardstown’s courses final hurdle. Ballycasey’s closest rival at the Festival looks to be Alan King’s Smad Place, at 7/1, who sealed a second successive win over fences earlier in the month.